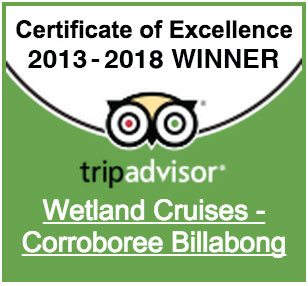 Corroboree Park Campground - approximately 20 km from Corroboree Billabong and the departure point for our shuttle for those requiring transport down to the cruise departure. Set amongst 20 acres of parkland with motel rooms, dormitory style bunkhouses, or powered van sites and camping facilities available. Relax and enjoy a drink or a meal, swim in the refreshing saltwater pool or visit the pet crocodiles and buffalo. Mary River Park - approximately 45km from Corroboree Billabong this location offers budget to deluxe accommodation. The park features airconditioned cabins with ensuite bathrooms, 2 swimming pools, liscenced restuarant, power van sites and general camping.